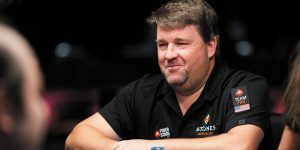 My colleague Martin Derbyshire recently offered up his thoughts on PokerStars‘ newest cash game format, Split Hold’em. In his column, Marty called the game a potential “rake trap,” simply because it’s a split pot game. That is something I strongly disagree with. In fact, I’d argue that Split Hold’em is a lot like Power Up, a game that looks like it’s built for recreational players, but is actually more skillful than traditional Hold’em. Unfortunately, because it takes a bit of effort to figure out, and because so many in the poker community are going to dismiss anything PokerStars does as a cash grab, it’s easier to look at the exterior than examine the inner workings of the game. This is not going to turn into a defense of Split Hold’em or any other PokerStars game, rather it’s a defense of split pot games, and warning against believing what you might hear from the peanut gallery. It’s a showdown game, so you can’t bluff. Starting hands run close in value so you can’t raise. A good player’s edge is reduced in split pot games. The pots are almost always split, so only the house wins. To be fair, there are grains of truth in each of these statements, but as any high-low player will tell you, for the most part they’re exaggerations, bordering on falsehoods. The skill gap between a bad player and a good player is reduced in a split pot game, at the same time, the skill gap between an ok player (which most people are in modern poker) and a good/great player increases. Even though it might take longer, and a bit more of their money will end up in the house’s hands, losing becomes inevitable for bad players. Mediocre players lose very slowly, and are more likely to overestimate their skill level. Winning players will have fewer big losses. And as Marty said, the pots are often split. That might prolong the number of whacks the rake gets at each chip, but not enough to make winning impossible, or even difficult. Even at the lower limits, high-low games can be some of the best in the casino. When I played poker professionally Omaha 8 was my main game on the weekends. The games play much larger than the stakes, and it wasn’t uncommon for pots in a lowly $5/$10 KILL game to fall in the $800-$1,000 range during KILL rounds. When higher games were spread, the play was only slightly better. Split pot games aren’t “rake traps” or less skillful, they simply require different skills and a different approach. The best way to describe a split pot game is that those half-pot wins are like digging a hole with a spoon, but every now and then someone hands you a shovel and you scoop the pot. Without turning this into an Omaha 8 strategy guide, I’ll just leave it at: there’s plenty of money to be made in split pot games. Dismissing any game without giving it an honest assessment is a bad idea. The game usually lasts five or more rounds, so the pot gets pretty big, relatively speaking. On its surface, the game seems to have little skill and is little more than exercise in passing money back-and-forth, since no one except the nittiest player ever folds. One poker playing friend found the game silly, and couldn’t understand why I’d like it since it had so little skill. First, it’s fun. But there’s also a skillful element to it because of the lineup. If every player was good it would be a stupid game with zero skill, but that’s not the case. The people I play with aren’t playing perfectly. The skill of this game is knowing when to bet. Someone juices the pot on the first round or two (we typically play $.25-$3 spread limit), and basically everyone is in for about $10-$15. The game continues round after round and people are less willing to put money into the pot without a good shot at the pot. At some point, someone starts to think they have the game won and makes a couple max bets on 6th-7th street. Sometimes they win, and sometimes the game goes on. The difference is, when I start with a good hand (something like KK or QQ with the King or Queen of Spades in the hole) I’m hitting the pot pretty much throughout, so instead of getting $6 out of every player I’ll get $12-$15 when I have an equity advantage. Even though it’s basically a showdown game, when I win, I win a $150 pot. When everyone else wins, they win $100. If you know when to bet, this game is a lot like getting odds on a coin flip. My point is, it would be easy to just dismiss it as a game where everyone basically has the same equity, just as it’s easy to repeat certain myths about split pot games. PokerStars Protesters Are Running Out Of Options: Should They Stay Or Should They Go?